Bus rides are a great time to think about the nature of life. I recently returned from New York City, so the eight hour bus ride was plenty of time to do some musing and there was a theme to my thoughts: what makes a home and what does it mean to leave home? I have long dreamed that one day I would live in New York - a likely unattainable dream, but mine nonetheless. While I was there, I became acutely aware that this was not my home. Not because I was uncomfortable, not because it was a new experience, but because it wasn’t mine. And then I realized that my current home won’t be mine for much longer either. This spring, I am set to graduate and start looking for jobs and graduate programs. I’ll move out of my parents house, likely to somewhere that’s much farther than I’ve been from them in my twenty-two years, and I’ll have to make my own home. It can’t just be that home is a place where the people around you are your family and friends. If that was the case, why would we ever travel to new places or feel the call to look for something and somewhere new? It must be something more. As I was reading My Battle With Hitler, I found that Hildebrand once experienced the same thing in a major way. He talks about his home in Germany and how he had loved this country but had to leave because it was no longer compatible with his values and beliefs. “The decision to leave Munich was in every respect inexpressibly painful. The parting from my sisters, from the beloved, beautiful house for which I had sacrificed my fortune, from my teaching, and from the place of my roots – all this meant a very great sacrifice.”2 Though it would be a great difficulty to leave a place that held a lifetime of memories, he found that the decision to go somewhere else was the only choice he could make in good conscience. And so he left and went to a place that would support his values, a place that offered him the resources he needed to do good and live well - and he had to find a way to make this place, a blank slate, more than just a temporary residence. He made the decision and stuck with it - he took a leap of faith, with no way of being certain what the outcome would be, and made a new home. Because he had the strength to do so, he was able to achieve great things - things that would have been impossible in Germany. It inspires me because as a young adult getting ready to step into the real world of responsibilities, I am filled to the brim with a number of emotions - excitement and anticipation, but also fear. With very little exception, I have lived at home my entire life. I’ve always had my mom to talk through my problems with and make me chicken soup when I am sick, my dad to help me with math homework or play music with me, and my sister and my dog to pal around with and take care of. My friends have all been within driving distance of me, and we’ve been able to have baking adventures and hiking trips and philosophical discussions, and just spend time together. But now that this phase of our lives is ending, I’m realizing that things are going to change as we step into the unknown. As things change, I realize that’s why home is much more than where we are or who is around us. I think that home is more about knowing who I am and what I stand for, and about taking those things and incorporating them into wherever I am. I will bring my memories and friends into my new space, I will pour my uniqueness and my perspectives on life and beliefs into my new town or city or maybe even state, and I will color it and make it mine. Because it is those things that are more important than anything else. And just like Hildebrand, I will have to take a leap of faith and trust that it will all work out. I will have to trust that once the newness will wear off, familiar will become familiar, and I will find myself suddenly at home. It doesn’t mean the home I had before wasn’t special. It’s just that I will find a new place that I want to be special, too. 2. My Battle with Hitler, Dietrich von Hildebrand, pg. 52. 3. 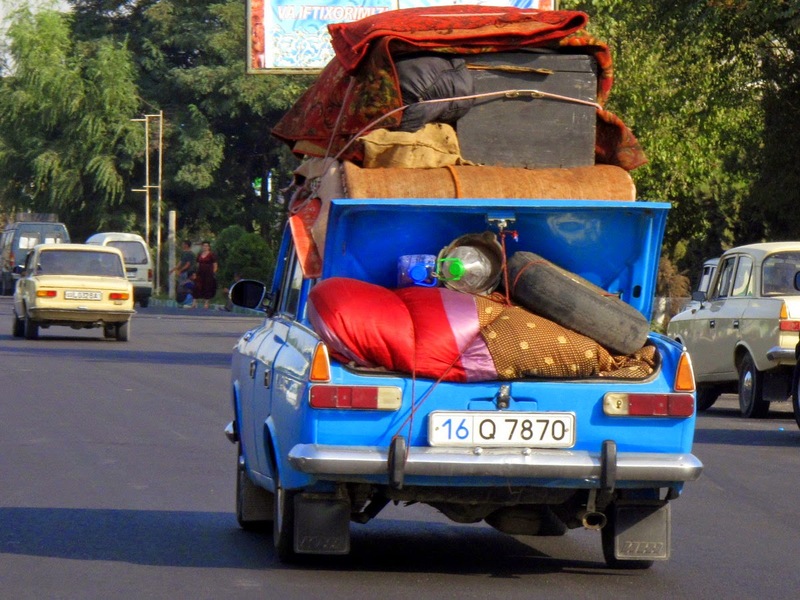 Photo by Peretz Partensky, "Moving Day"